More than 1.2 million people died prematurely in China in 2010 as a result of outdoor air pollution, a new analysis of scientific data shows. The summary—released Sunday in Beijing and first published by the Lancet, a British medical journal—is based on 2010's Global Burden of Disease Study and was reported on by The New York Times. Air pollution led to 3.2 million deaths worldwide in 2010, the study found, with China contributing more than a third of them. 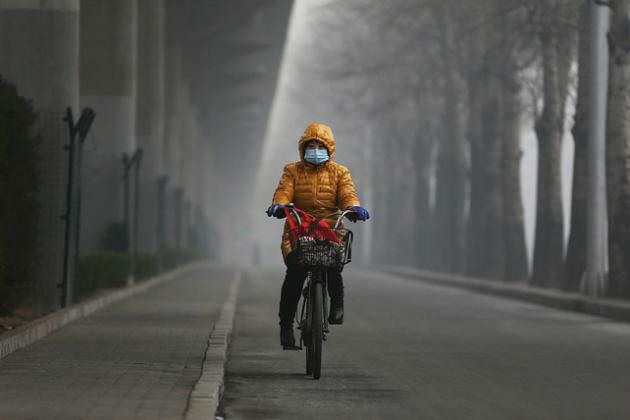 “Ambient particulate matter pollution” was listed fourth among the leading risk factors for deaths in China, the Times noted, behind dietary risks, high blood pressure and smoking. Chinese officials cut out sections of a 2007 report called “Cost of Pollution in China” that discussed premature deaths. The report’s authors had concluded that 350,000 to 400,000 people die prematurely in China each year because of outdoor air pollution. There has been growing outrage in Chinese cities over what many say are untenable levels of air pollution. Cities across the north hit record levels in January, and official Chinese newspapers ran front-page articles on the surge—what some foreigners call the “airpocalypse”—despite earlier limits on such discussion by propaganda officials. "Since the beginning of this year," the Atlantic noted, "the levels of air pollution in Beijing have been dangerously high, with thick clouds of smog chasing people indoors, disrupting air travel and affecting the health of millions." The problem, of course, is not limited to China. In India, 620,000 deaths were blamed on outdoor air pollution in 2010, according to the study. Air pollution concentrations in some cities, particularly in Asia, already far exceed World Health Organization safe levels. By 2050, the number of premature deaths from exposure to particulate matter is projected to more than double to reach 3.6 million a year globally, with most deaths occurring in China and India.